Official app of HappyValentinesDay.co.in. In our application Valentines Day Greetings cards are specially designed cards that you can send to your friends and relatives at Valentines time for free!!. 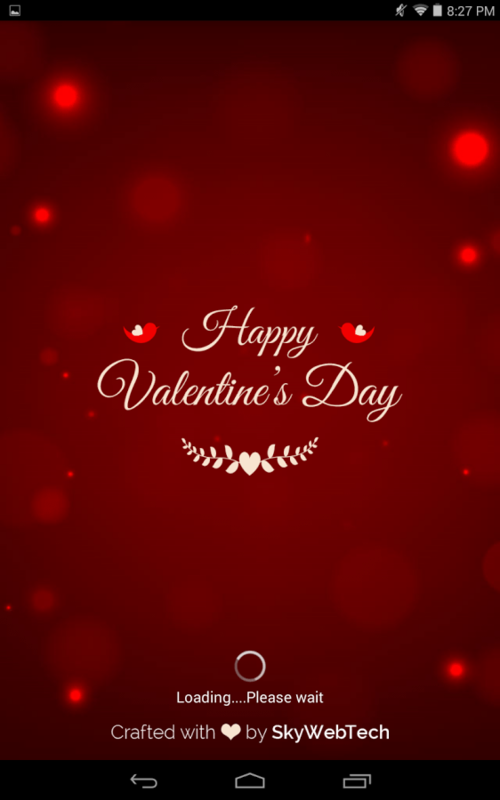 If you don’t want to send your loved ones special cards on this wonderful celebrations you can still send them special wallpapers, which are also specially designed papers that you send to your friends and relatives at Valentines Day. These Greeting cards and Messages are always specially made with Love. You will also get Greetings for special days like Hug Day, Kiss Day, Rose Day, Propose Day, Love Quotes etc. We created and are launching this amazing application at the right time and for the right people. It is now let for you to get this greetings cards and Messages and use it to create lovely wallpapers and cards for your friends and relatives in this coming Valentines Day celebration. We know that the Count Down has begun to the most awaited event of every year. These greetings are going to make your loved ones happy. So, if you have a Girlfriend/boyfriend/husband/wife, then you can make him/her happy by sending, with this our Valentines Day greetings wallpapers and Messages, nice wallpapers and cards and sending the greetings to them. We are uploading greetings regular basis so keep sharing and spread Love and Happiness everywhere on this love festival. Share with your friends. Enjoy Season of love. Happy Valentines Day & Spread Love !! Valentine's day is two day to go. I can use this greeting card to wish my love for valentine's day. I can use to find this app on my app store. Greetings card is a really good idea. Is it possible to add your own love text?